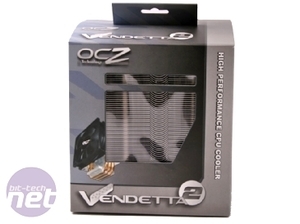 Today we’re looking at the first second generation direct contact heatsink to arrive in the bit-tech labs, the OCZ Vendetta 2. 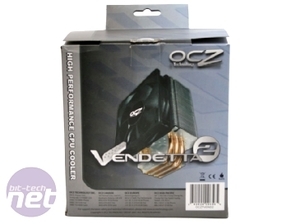 The original OCZ Vendetta was a very capable mid range performer despite being just too noisy at top speed, and was the first direct contact cooler to show that this increasingly popular and cost friendly cooling technique could compete with the more traditional copper base coolers. 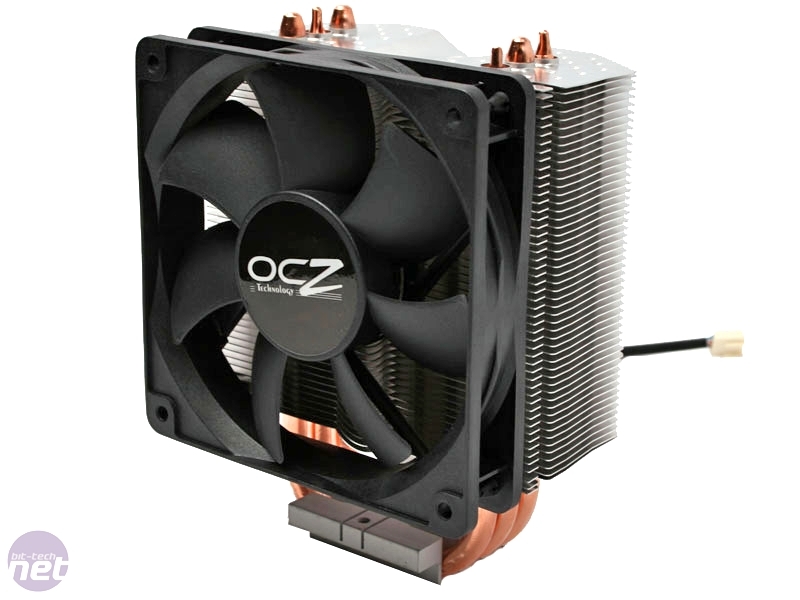 For those not in the know, direct contact coolers dispense with the traditional machined copper base of a heatsink to make contact with the thermal interface of the processor and instead employ flattened, machined heatpipes to make direct contact with the CPU. This removes a link in the thermal transfer chain and hopefully resulting in improved cooling efficiency and a lower manufacturing cost. 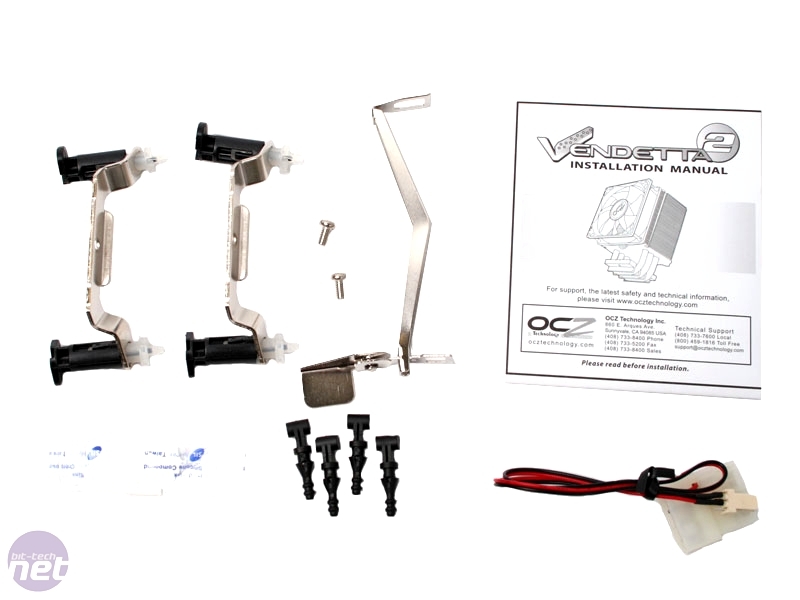 However, the technique can be a double edged sword; if the base isn’t finished to a high enough standard, or the heat pipes are not of sufficient quality or machined incorrectly then the performance of the cooler can significantly suffer as a result. 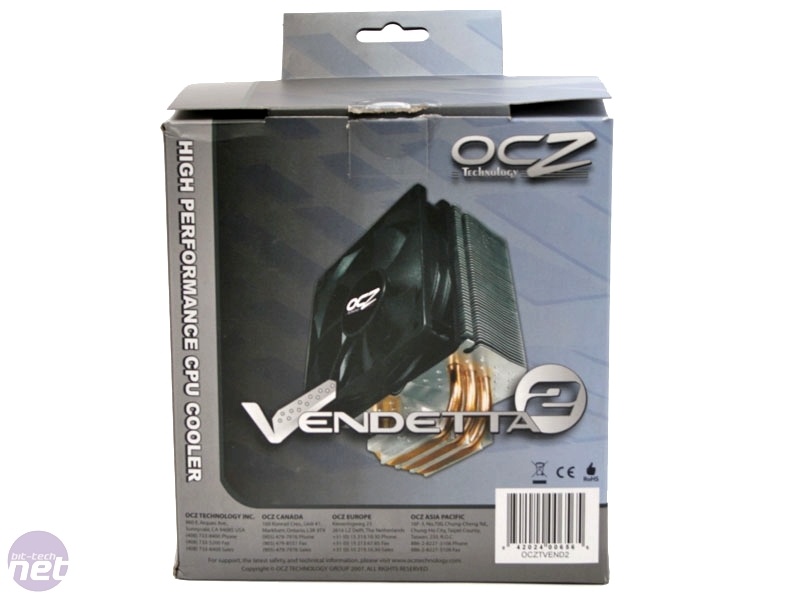 It’s not surprisingly that a company with such a reputation for innovative products like OCZ has led the way in direct contact coolers. In other fields we’ve also seen it spearhead the move to ultra fast solid state drives, as well as build upon its strong market position in the memory sector too. 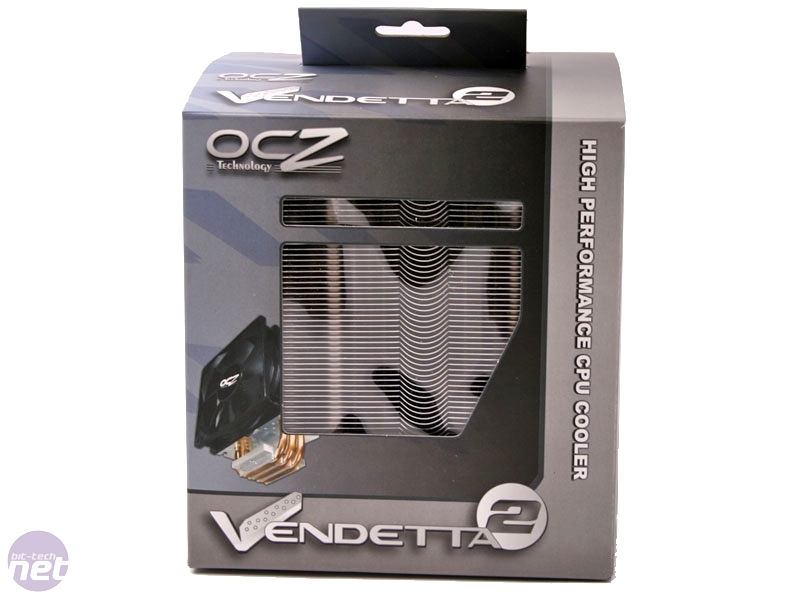 Hopefully the Vendetta 2 can improve on its predecessor and continue this trend of innovative, reliable and effective products. The heatsink itself is shipped inside a foam brick alongside the motherboard fittings to avoid damage to the fins during transit, with the included 120mm fan shipped in its own foam padding. The included mounts are everything you’ll need to fit the cooler to any modern setup, with the usual LGA 775 and AM2 brackets, two mounting screws (with no spares, so don’t lose them! 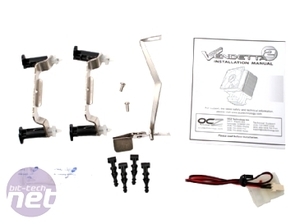 ), a tear open sachet of silicon thermal paste , four rubber fan mount “plugs,” an installation manual and a 4 pin Molex to 3 pin fan converter. 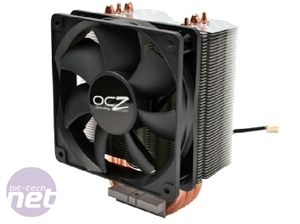 The included 120mm fan also comes complete with a 4-pin PWM connector, allowing for automatic adjustment of fan speed to improve noise levels if your motherboard supports it. To be fair this is a pretty standard bundle with nothing important missing, although we would prefer to see extras like manual fan controllers or spare screws and mounting plugs included too. The NH-C12P is a lower profile version of the fantastic NH-U12P from the Austrian company that oozes quality and great performance in its products. We've put it through its paces on LGA775 and Socket AM2+ to see if it can keep up with the strong competition it faces.